At Miller Castings, we are relentless in our commitment to quality. 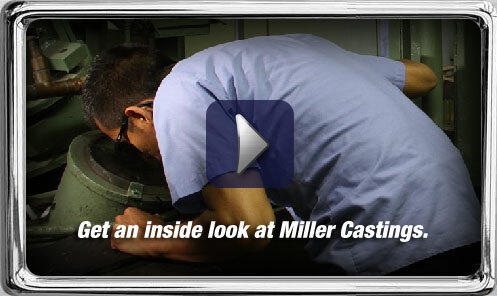 Miller Castings, Inc. has been meeting customer needs since 1972. It’s our policy to produce the highest quality investment castings available in the industry today. We provide our clients competitive prices and on-time delivery. We are dedicated to technical innovation, and are committed to continual improvements in our production process and our management system. We provide integrated product development to ensure all castings are designed to meet customer requirements. Our goal is to exceed customer requirements every time. Take a look at some of our projects and judge for yourself. We are a world class manufacturer dedicated to providing our customers with the highest quality castings, and on time delivery. We manufacture a wide spectrum of investment castings, including stainless steel, aluminum and vacuum-melt super-alloys.